The Aerial Lab LOVES the Theory Trainer by Aerialetics. Check out their website at www.aerialetics.com, and use our unique code for 10% off "THEAERIALLAB"
Aerial dance and circus performance is a spectacular addition to your event. Our professional aerialists and student performance group are available to wow your crowd! 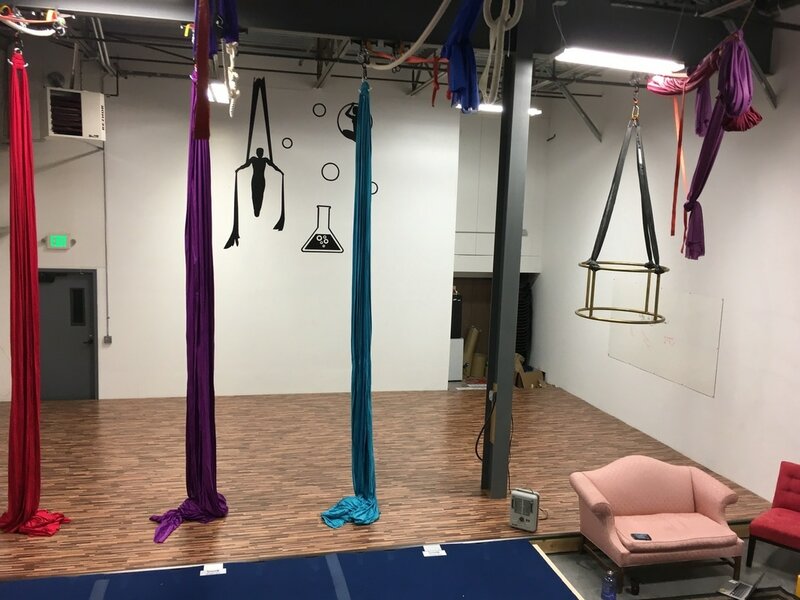 The Aerial Lab hosts a gymnastics spring floor, a dance floor and a mirror wall, making the studio adaptable for many purposes. You can rent The Lab for your next local event or class!